Many communities in The Woodlands have little ponds between the houses. 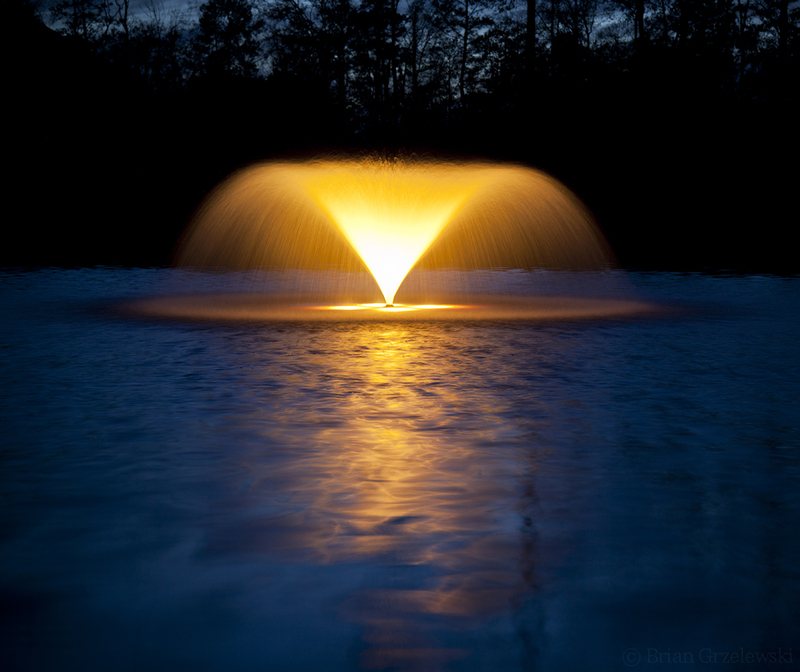 Often in the middle, there’s one little fountain glowing. This entry was posted in The Woodlands by Brian. Bookmark the permalink.